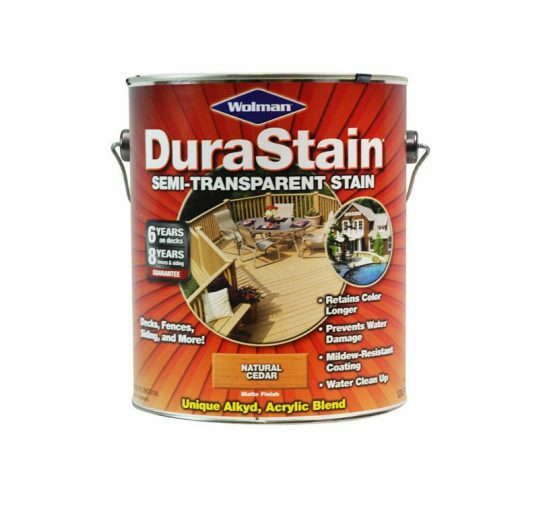 Wolman® DuraStain® One Coat Semi-Transparent Stain is a one-coat, water-based exterior wood stain designed to provide excellent color retention; adhesion; and protection against UV graying, water damage, and mildew. It delivers superior beauty and protection in one coat. In addition, it offers semi-transparent hide coverage over new or previously coated and weathered wood. 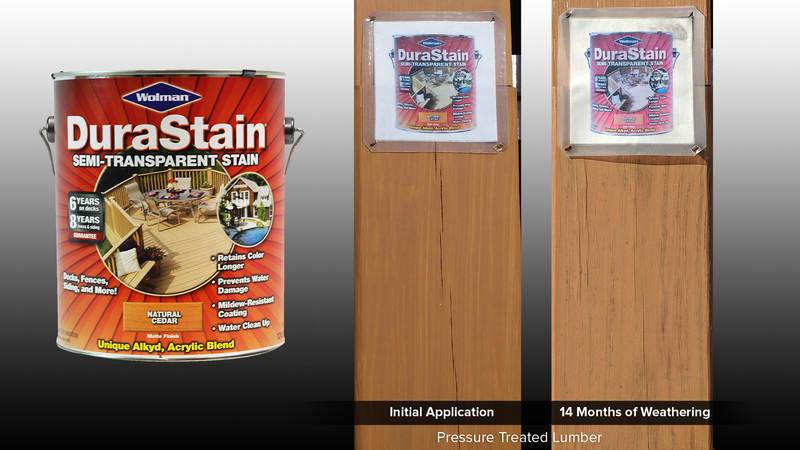 Wolman’s DuraStain looked terrible when applying. It literally looks like orange paint. The product also has a strong odor. Initial appearance is not really a semi-transparent look, but more “thin paint” semi-opaque, hides quite a bit of the look and grain of the wood. 14 month weathering did show good results in maintaining color and appearance and this would be expected based on the paint-like consistency of the product.